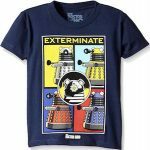 If you didn’t know it already the 13th Doctor is a woman and to get the message out you just need this the 13th Doctor Who T-Shirt. The t-shirt is available in many colors and in styles for men and women. 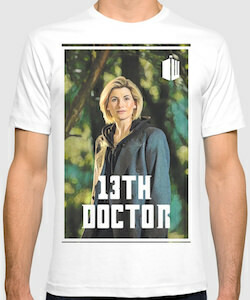 On the t-shirt you can see a painting of the first image we have seen of the 13th Doctor and it says “13th Doctor” on top of the image so that everyone knows that the 13th Doctor is here and she will bring new amazing adventures to us. By now we have seen 12 amazing Doctors (and the War Doctor) and we know that the 13th Doctor again will be amazing and different just like all the others.